The STEAM@Fowler School Celebration was a great success tonight. 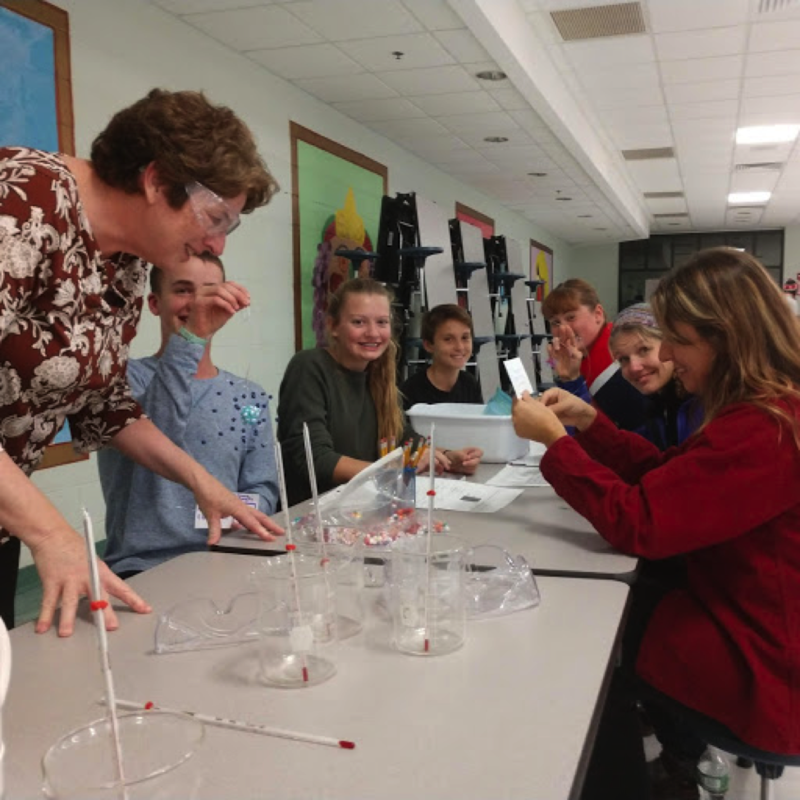 In the picture above, School Committee member Bethlyn Houlihan is sitting with another parent, teacher, and students while they were learning how to make models of atoms with wire and beads. There were so many great presentations on topics including: solar energy, robotics, Science, the engineering process, and even the building of a trebuchet. A fun fact associated with the trebuchet is that the Fowler Latin students built it with the help of parents, teachers, and staff for the Massachusetts Junior Classic League competition. The Fowler Trebuchet won third place! Congratulations to all who have been involved with the Latin Program. Thank you to our talented staff, teachers, and administrators for all they do everyday in school and thank you to the amazing students, friends, and families who attended the STEAM@Fowler School Celebration tonight.